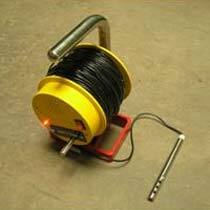 We are a prominent Manufacturer and Supplier of Water Level Indicator from India. Our reliable Water Level Indicators are designed for accurate measuring of water level and total depth in boreholes, wells, reservoir, etc. Avail these Water Level Indicators in various specifications to meet the clients demand.